McDonald's has unveiled a sandwich with kale and Sriracha sauce. Wait, is it 2013? Nope, they're just a few years late to the trend game. And people are eating it up. The chain's Sriracha Mac Sauce, a creamy condiment combining McDonalds' iconic Big Mac Sauce with spicy Sriracha, will be available to pimp out your sandwiches and sides for a limited time in July. 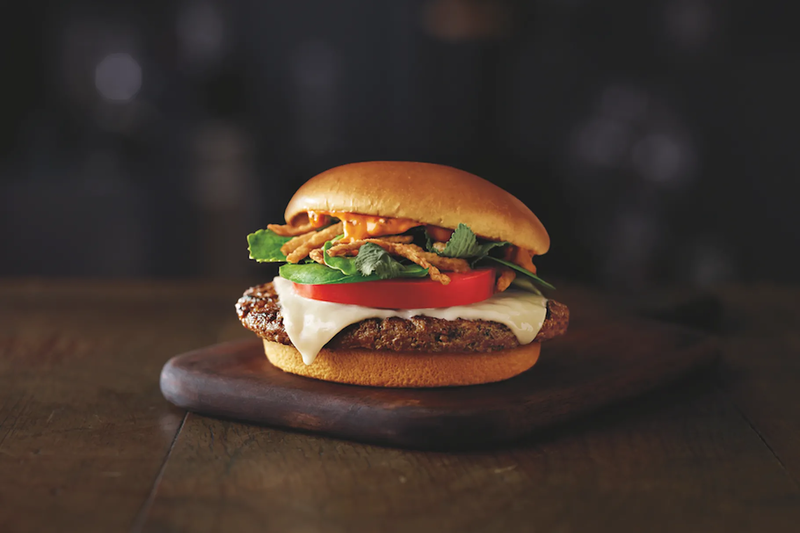 Catch a glimpse of the sauce below, where it is spread on the new Signature Sriracha sandwich with crispy onions, baby spinach and kale, tomato and white cheddar. 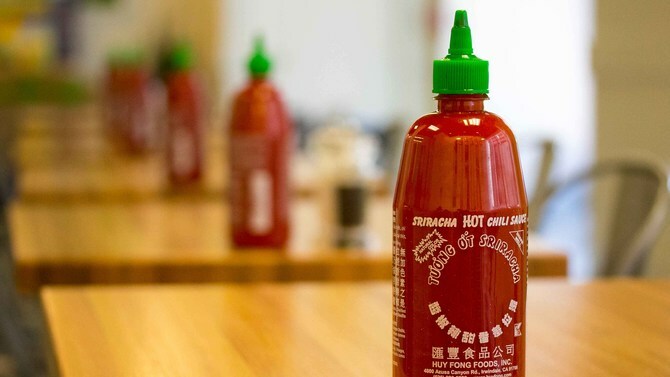 Customers may enjoy the spicy spread on their choice of bun with a beef patty, buttermilk crispy chicken or "Artisan" grilled chicken, according to Eater. And that's not all. 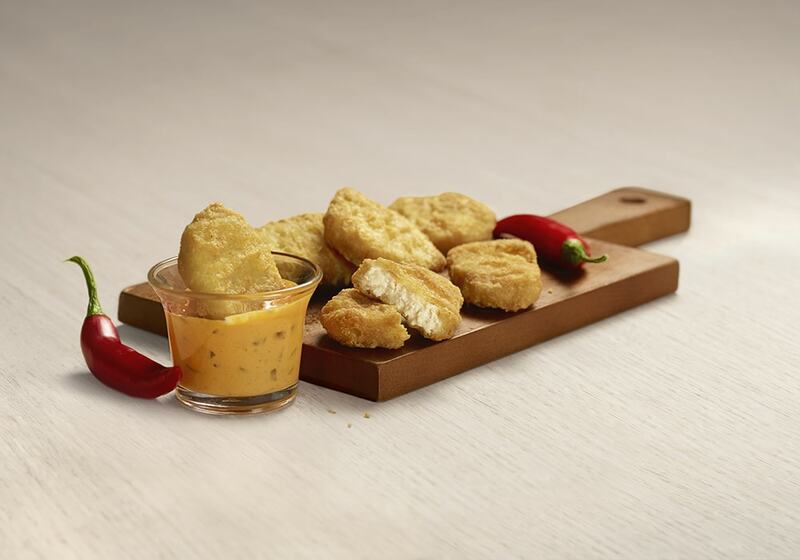 The sauce can be used for delectable dipping with foods like fries and McNuggets. If you're really feeling indulgent, you could pull an In-N-Out animal-style trick by pouring the Sriracha sauce over McDonalds' new loaded bacon cheese fries. The spiciness of the sauce would cut through the creaminess of the cheese and the saltiness of the bacon for a sinful but scrumptious snack. Can't imagine how the sauce might taste? Think about it this way. Big Mac Sauce is a blend of mayonnaise, yellow mustard, sweet pickle relish, white wine vinegar, onion powder, garlic powder and paprika, as McDonalds' executive chef explained in this video. It's similar in flavor to a Thousand Island dressing, so picture that with a spicy Sriracha kick. While the sauce and sandwich aren't new -- they debuted in select stores in 2016, according to Teen Vogue -- this is the first time they'll be available nationwide (and the first time you can order the special sauce on the side). Want to order the new foods without leaving your couch? If you live in Los Angeles, Chicago, Columbus, Ohio, or Phoenix, you can, as Mickey D's expanded its delivery service with UberEATS to more than 1,000 locations across the country. Once you've loaded up on Sriracha Mac Sauce, cool your tongue off with the candy-rich Rolo McFlurry, finally back from a five-year hiatus, or this cold and creamy McDonald's hack: the McFlurry ice cream sandwich.